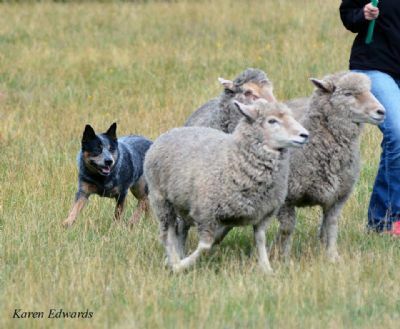 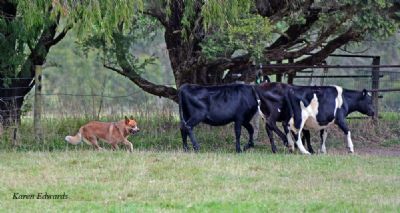 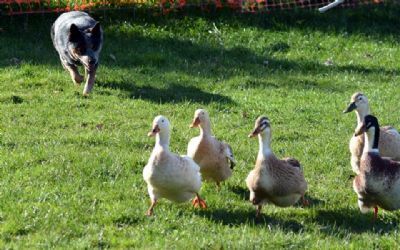 Willowpark dogs have proven their herding ability both on the farm and in trial situations. 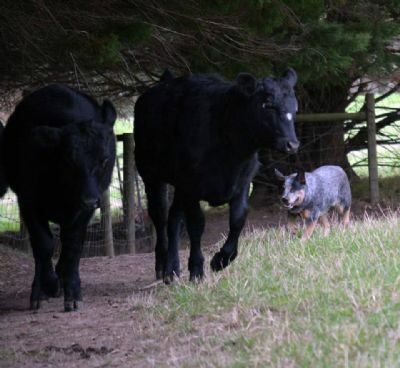 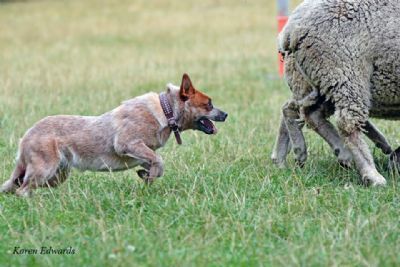 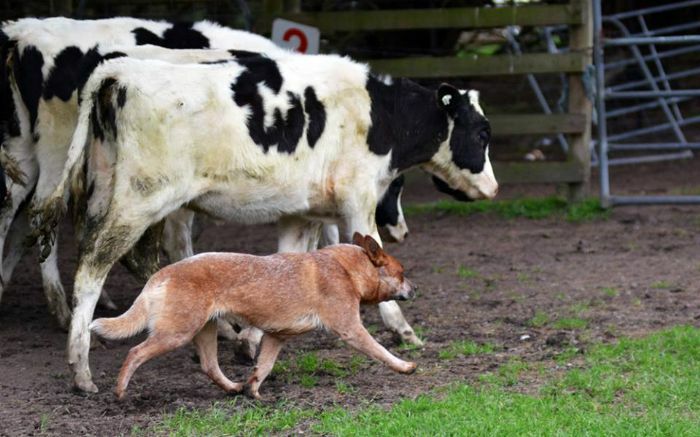 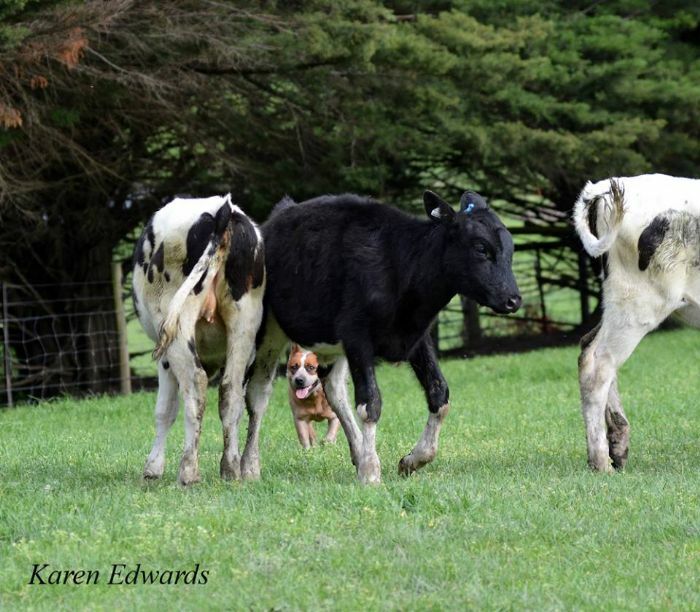 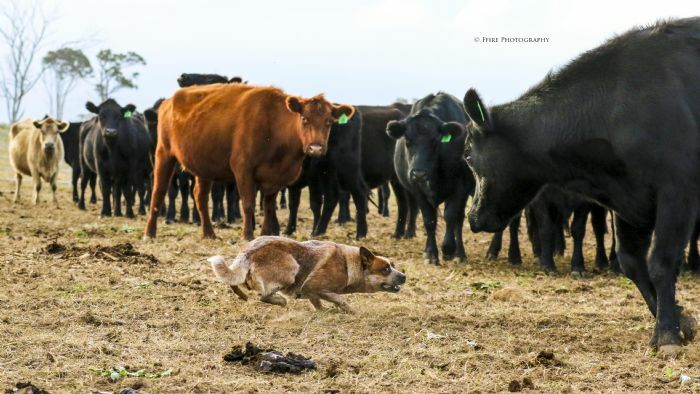 The herding trials ensure that the dog is capable of many elements of herding and can do more than just bite the heels of cattle. 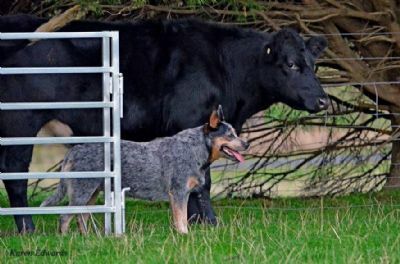 Willowpark is the most successful Australian Cattle Dog kennel in ANKC herding in the history of the breed. 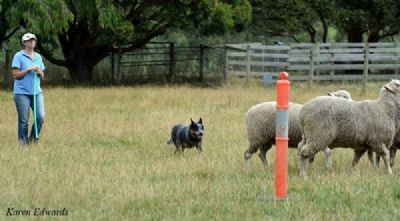 Our own dogs compete in ANKC trials, and will be looking to trialling outside of the ANKC system soon. 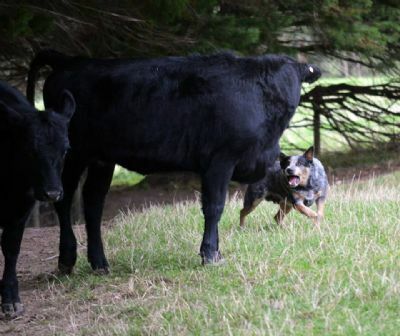 Some top triallers have been pleasantly surprised at how handy our dogs are with Robert Cox, Former State Yard Dog Champion and Australian representative described Tess (WP Inevitablue) as a very sweet, even tempered pup (at 20 weeks old), with absolutely 'no dirt' in her. 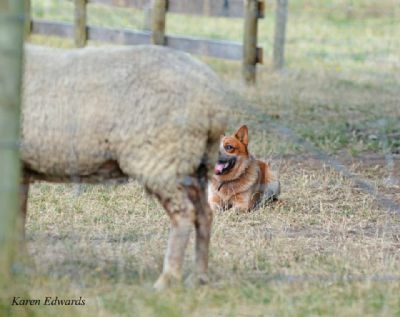 A soft but bold girl,willing to push up between the stock and the fence at such a young age. 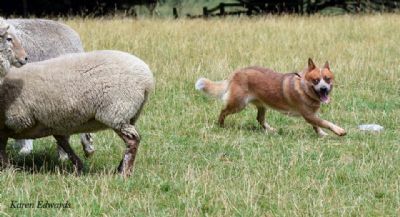 We pride ourselves on having dogs which drive their stock well, with a natural balance, gather and sensitivity to their handlers, making them wonderful competitors. 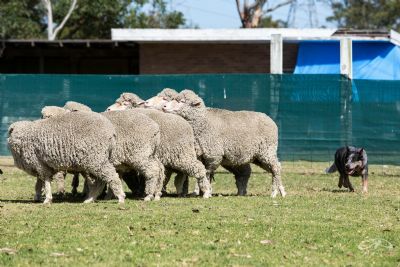 Val Kirk always prided herself on the ability of the Jellendore line to perform long casts, which is rare for a traditional yard and driving breed. 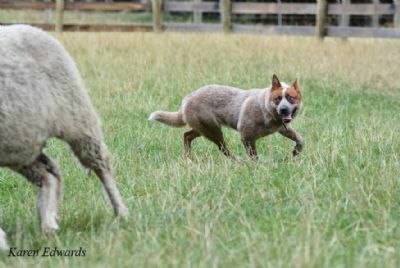 The above photo is Tess at 20wks old on a working sheep station. 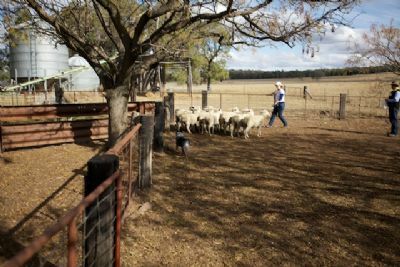 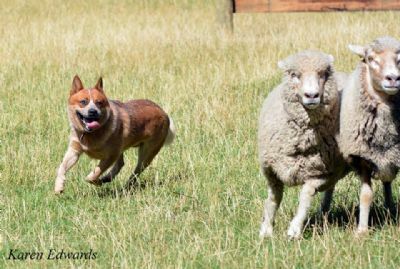 We work our dogs on all stock types, as one of the valued attributes of a good working dog is the ability to rate stock and read situations. 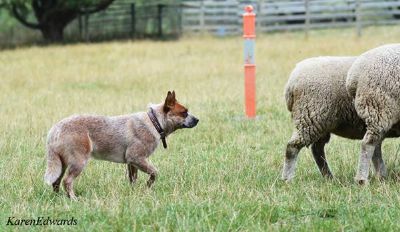 This is a great sign of intelligence. 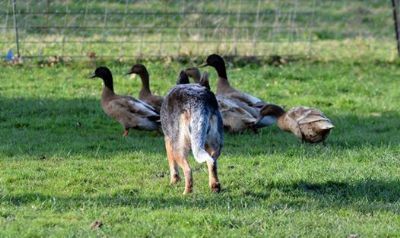 A dog should adjust itself to the job required. 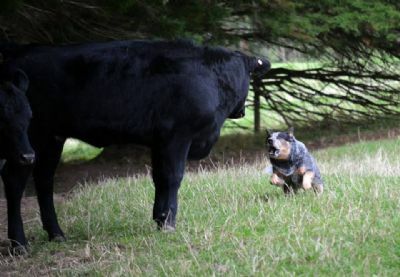 We breed away from dogs which just like to bully stock. 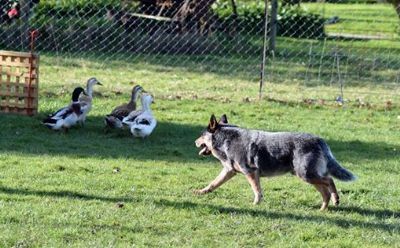 Tess (WP Inevitablue) and Zac (WP Custom Made) have both gone from trialling on cattle to 30 minutes later trialling on ducks. 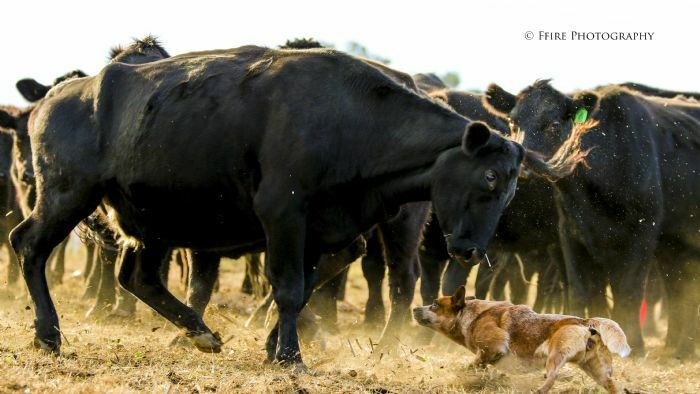 This requires self control and to not let adrenalin take over. 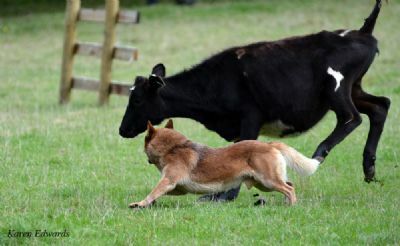 Some various training videos of young dogs follow, as well as photos. 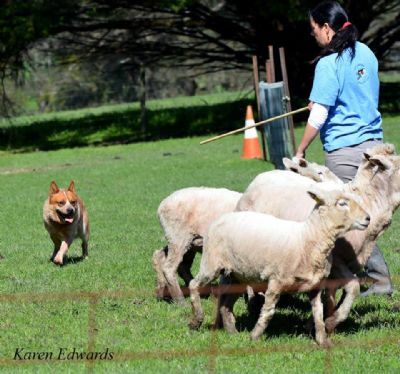 We predominantly train on sheep as it is easier for us being based so close to Sydney, but the dogs have proven themselves on all stock types, with Zac winning Highest Scoring Dog in Trial on cattle, sheep and ducks, against border collies, kelpies and the like. 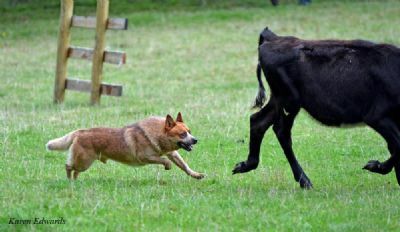 Our dogs have won many High In Trials and Runner Up High in Trials. 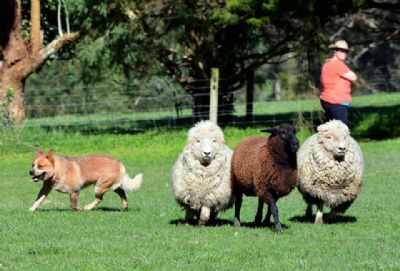 Many of our dogs have achieved their HT and/or PT titles with barely any exposure to sheep. 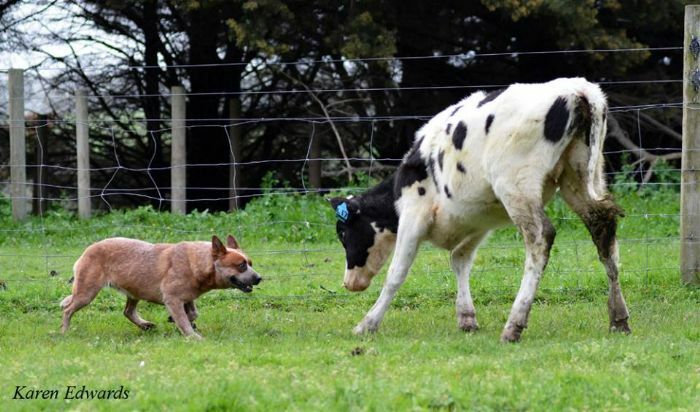 Its that innate ability bred into them that means they undertand what is required. 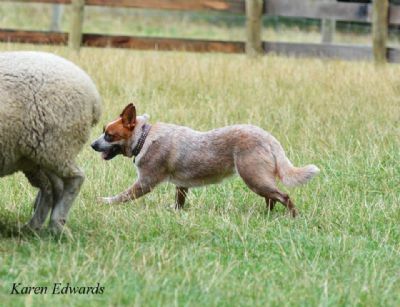 Mindy (WP Soul Sister) had about 20 minutes of stock exposure before easily earning a PT pass. 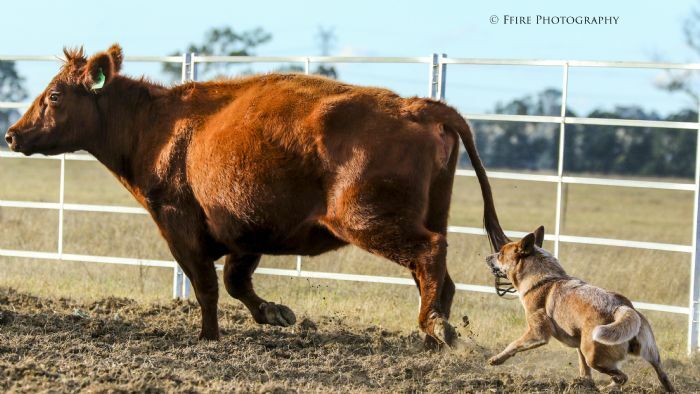 She hadnt even worked in a larger arena. 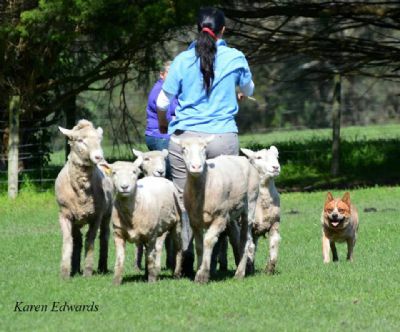 Mindy naturally understood to collect the sheep, and hold them to the handler. 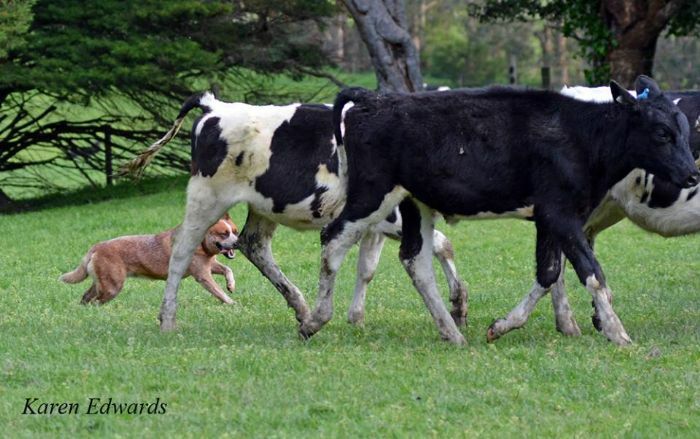 She showed alot of rate and cover. 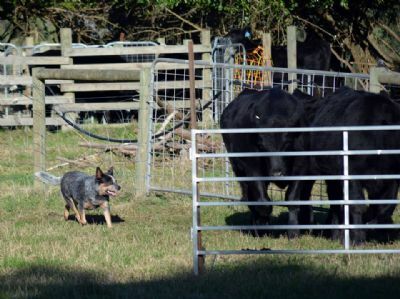 We have worked several of the dogs away from a trialling situation, with Pria (WP Whiz Kid) easily handling unbroken Angus cows with calves. 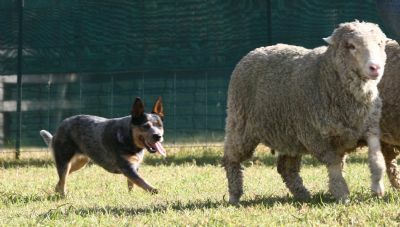 Most of these videos are showing raw ability, and building a foundation of gathering/fetching stock.